Though the Obama administration would surely have preferred that the US Supreme Court decline to rule on the legality of Arizona’s controversial immigration law, thus leaving the federal appeals court rule striking down the most significant portions of the law as the defining word, it’s likely best that the SCOTUS put the issue to rest with a firm declaration. At stake is the federal government’s claim that only it can institute immigration law and states can not enforce their own immigration rules. Although the case that SCOTUS agreed to hear next year is specifically dealing with Arizona’s law known as SB1070, the ruling will clearly reverberate through the south where states like Alabama, Georgia and South Carolina have also attempted to institute harsh state immigration laws. Arizona’s measure allowed local and state law enforcement to ask anyone for papers showing they are in the state legally. 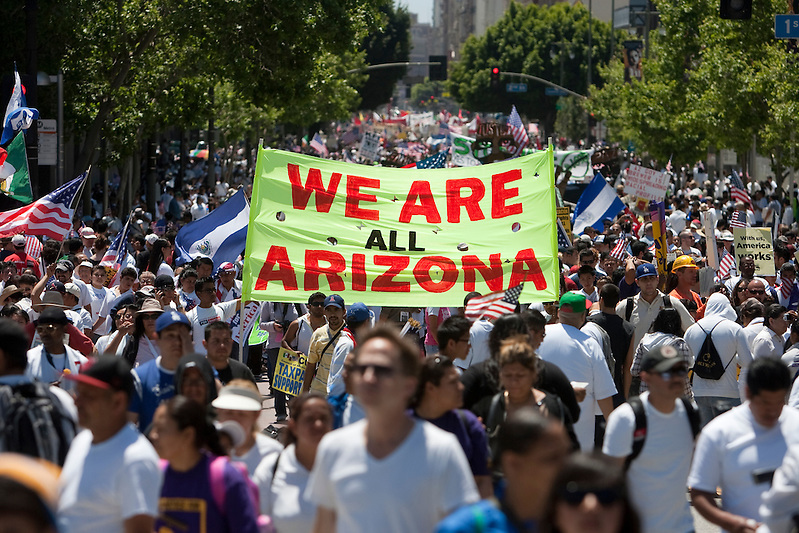 The law was the catalyst for massive protests nationwide and resulted in economic boycotts and, ultimately, the federal government suing Arizona to stop the law on grounds the state had no authority to pass immigration law to begin with. Rallies decried the racist undertones of the law and protesters wondered how police could tell a legal immigrant from illegal immigrant without racial profiling. Given the volatility of the immigration issue and the fact that 2012 is an election year, the ruling by the SCOTUS will certainly be a defining moment for the country.